My mum is older than Halloween. I might need to take a moment to actually fact check this bold statement, but it’s essentially the case that my mum is so old that when she was a child, Halloween as we know it wasn’t a thing at all – and in fact they used to call it “Duck Apple Night”. We still play duck apple, bob for apples (although I can never remember which is which), and carve pumpkins – and I always form an immediate and lifelong bond with anyone who had to use the lowly turnip as jack o lanterns during their childhood like we did. Maybe it’s an Irish thing, maybe it’s a pre-American influence thing, or maybe turnips were just cheap. 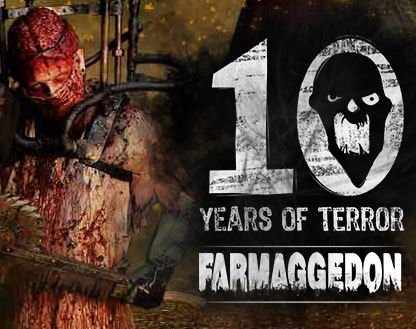 First stop was Farmageddon which I’d heard of, but never been to before. In essence, you pay money to go to a farm a few miles outside Liverpool and have the bejesus scared out of you. I won’t spoil the details because it really is worth checking out for yourself if you haven’t done it before, but it was more jumpy than terrifying. I certainly got my money’s worth and I’d like to apologise to all the people within a five metre radius of me whose eardrums I perforated. It’s worth bearing in mind if you’ve got teenage kids that there’s rules surrounding how many kids are allowed in with a paying adult, and about bringing ID. We saw groups being turned away because the parents hadn’t read the small print properly! Remember how much fun I had at Breakout Liverpool during my pirate weekend the other month? Well, unlike Farmageddon, Breakout is the kind of activity you can keep going back to, until you’ve cracked all of the different escape rooms. 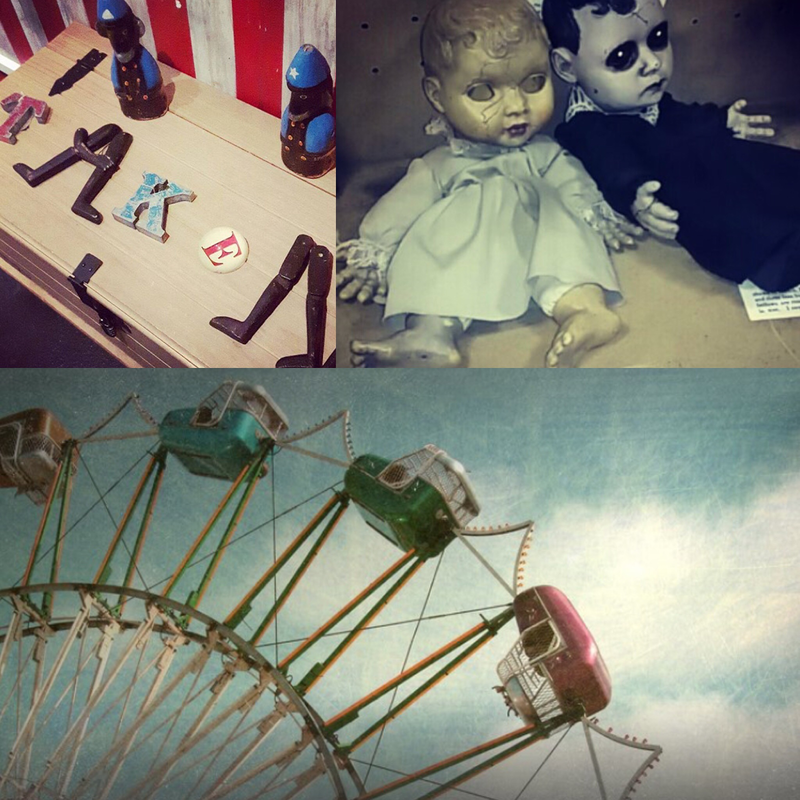 I went back for Halloween, when they’d spookified some of their rooms, and chose the ‘Cursed Carnival’ room – so much to say about it that I’ve gone off on a tangent in another post. The team there are lovely by the way so if you have any questions about the format or any worries then you could always give them a shout before you book. I also think tickets would make fab Christmas presents for someone – especially those fusspots you get who are difficult to buy for! I asked about gift vouchers and they don’t offer them at the moment but they can always send you some logos and stuff so you could make a homemade voucher with that on. 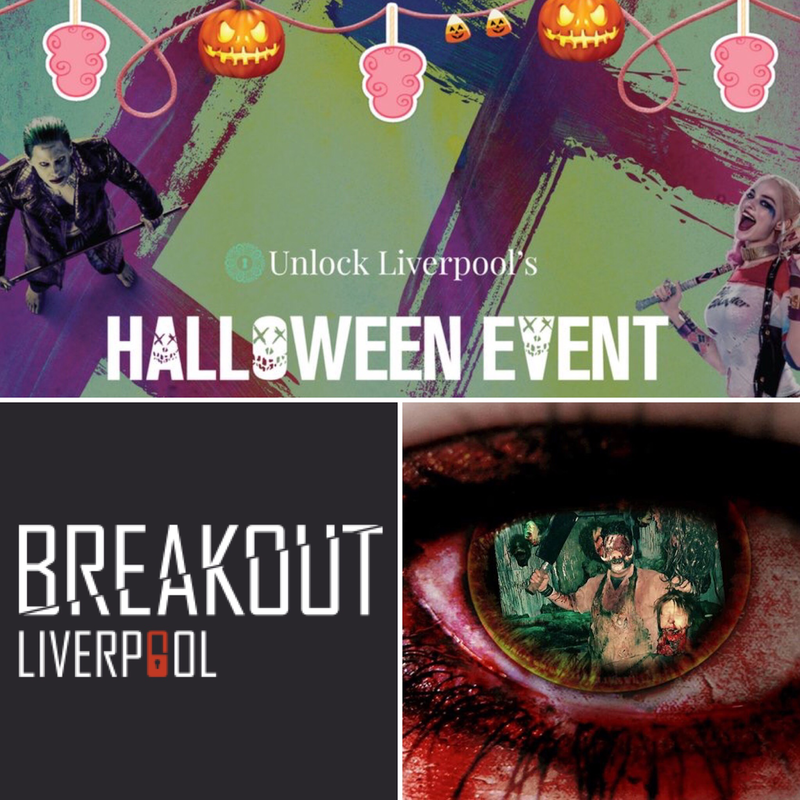 If you ever happen to read any of my Entertainment blog posts then you wouldn’t be at all surprised that I’d make a beeline for a Suicide Squad themed Halloween party hosted by Unlock Liverpool at 23 Fleet Street, a tasteful tequila & cocktail bar a stone’s throw from the bustle and mayhem of Concert Square – the hen do / weekend tourist capital of Liverpool. I hadn’t been out in ages and it was such a good night with friends. 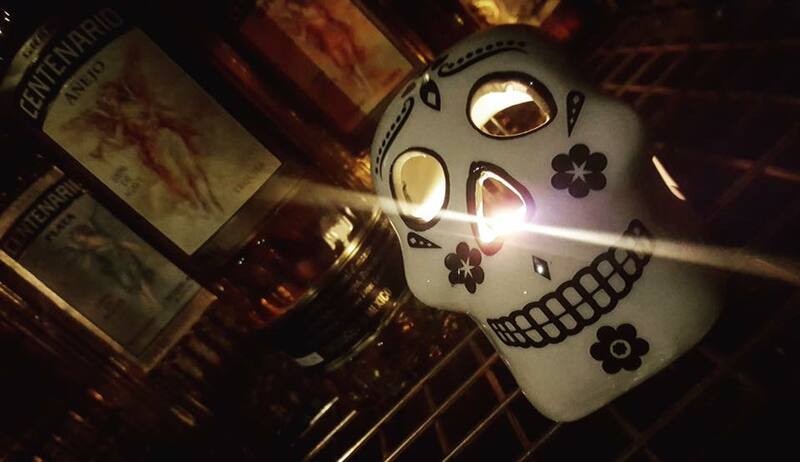 We had a booth for a big gang of us and it was decorated with Day of The Dead tableware, candles, sweets and popcorn. There was candy floss and toffee apples and we all agreed more nights out should involve confectionary! I’ve written more about the night in a separate post because there were fab character appearances to talk about and some more pictures! I have a new found love for Halloween. Extending it beyond kids’ parties and pumpkins into a chance to do some fun grown up stuff and not have to keep an eye on little people. Next year I might try one of those ghost walks or haunted houses. There’ll still be apple bobbing and trick or treating for the kids but I’m a now a convert to enjoying Halloween without them too.